Diablo III's Necromancer is quite possibly the most entertaining playable character in the game - and that's high praise when every other available hero is a ton of fun in their own right. The Necromancer has a wide variety of distinct skills and abilities, and depending on your preferred playstyle, the class can be moulded in multiple different, effective ways. In short, the new addition is a blast to play. Going by the name, you'll already have some idea as to what you're getting into with the Necromancer. This is a hero that primarily commands the undead, plucking reanimated corpses from the ground and forcing them to fight at his or her side. As such, minions are very much a staple of the character as you build up a small army of skeletons and fleshy beasts. When used in this way, the Necromancer essentially acts as a field general, directing his or her rotten followers while sitting back and keeping an eye on the overall battle. It's a uniquely satisfying way to play Diablo, and when your summoned creatures are tearing through hordes of monsters at your behest, there's a definite sense of power. The Necromancer doesn't even have to dirty his or her hands to get the job done. But as alluded, that's only one way to play this versatile class. If you do want to get stuck in and feel the blood slap across your pale mug, then the character offers up a reasonable amount of close-quarters skills that turn it into a deadly melee fighter. Slashing away with ghostly scythes and blowing foes back with a booming force field are viable options when it comes to fighting face-to-face. We can't possibly continue without at least mentioning the Necromancer's corpse abilities, though. When playing as the new class, defeated enemies will leave behind grisly looking corpses that the Necromancer can use in a variety of ways. It can consume them to restore its resource pool, reanimate them to grow its undead army, or even make them explode in a shower of blood and guts, damaging any opponents that are near. The latter is an incredibly satisfying and brutal way to dish out big damage. The Necromancer presents a bloody good time, then, but that's all there really is to this expensive character pack. 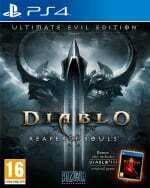 Priced at £12.99 or $14.99, the add-on boasts a steep price tag for what is essentially a fresh way to experience Diablo III - a game that you may have played through numerous times by this point. Still, the fun that we had with the class simply can't be ignored. 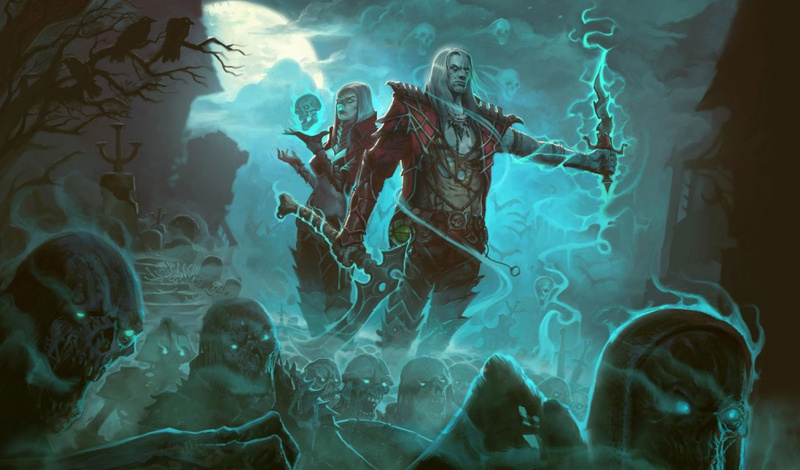 If you fancy getting back into Blizzard's superb action role-playing release, or even if you're a total newcomer, the Necromancer won't disappoint. Diablo III: Rise of the Necromancer is available from the PlayStation Store priced at £12.99/$14.99. It's also included in Diablo III: Eternal Collection. The Necro is a great class but I'm toward the end of Act 2 and running out of enthsuasim to finish the play through again. Adventure mode is okay but it's still the same old areas. D3 is an awesome game but there's only so many times I can go round the block and not get bored - time for a huge expansion or D4. I mean, to be fair, they have given away a ton of free content. I was just telling myself yesterday that I'm so glad everything in overwatch is a free update. Still feel like it was a wasted opportunity to go the Crusader route and add it in via a new expansion. At this point the game needs one and not just a new way of playing what's already been there for the past 3 years. I agree that the price is a bit steep. I'll wait for a reduction before I'm tempted to reinstall the entire game. Nothin against that new class - it's been ages since there was something Diablo going on so yeah .. but still - no new Areas like fr ? Lmao - like fr ! No way I'm gonna pay for just another class. It's a shame how Diablo gets treated .. I know it's a money issue since there are no "loot boxes" or things like that where you could invest real money in .. better work on Diablo4 already Blizzard ..
Why did they repackage everything on the ps store? I am doing the Bonestorm melee build while my son is doing a pet build necromancer and they are both seriously fun. I can't wait to get to level 70 when the game truely begins. @Tasuki People say this a lot about Diablo, and I do get it to a point, but it's not like the game transforms into something else at level 70 - you're still bashing the same monsters in the same areas. I'm shocked that I read this whole article with all of its comments and nobody mentioned how this character was in D2/how none of his skills are new lol. @AD-80 Think that's bad, well I hear in the next Tomb Raider, Lara will still jump n stuff. Make of that what you will. Bought D3 recently and had a blast. Enjoyed the challenges of the first Season on the PS4 too. I think the price is a bit to steep so gonna hold off until there is a drop but will dive in at some point. I think people are a little too fixated on the price. If you like Diablo, than $15 for a new character that can lead to at least 20 hours of play is a pretty good deal. I mean you probably spent that much to see Spiderman Homecoming and that was only about two hours. @kyleforrester87 It's all about the meta game. If that something that interests you then you will enjoy it otherwise yeah it gets pretty dull. It's that thrill you get at getting new a weapon and seeing it improve your character. For me I hae always enjoyed. I love games with a progession systems seeing a character get stronger and stronger. Before level 70 your build is constantly changing due to getting new skills and such once you hit 70 you can select a build and just see it improve. @Tasuki Yeah I get that, same with Destiny really, and I understand in terms of perfecting your build it becomes the focus after level 70. But it's still the same loop, great as it is I'm a wee bit tired of it now! That's just me though. @kyleforrester87 Yeah I understand. To be honest Diablo is a game I play for a bit then take a break for awhile, then go back again and take a break. I gotta do it that way cause even then I would get bored of it. I played around with it and had some fun, but i'm going to wait for season 11 to do a serious playthrough. I always seem to have better luck with drops during seasons, i maxed out at torment 12 after 10 hours during season 10. I freaking love this class! Still think D2 is a far superior game and they should have used the effort to bring us a remake of that so we could play the real necromancer class. I've been on the fence about this. I really enjoyed my time with Diablo 3, but I might have over done it getting all characters torment X ready. I'm really glad they finally added more trophies though! @kyleforrester87 I was thinking along the lines that i was shocked I didn't see a comment about "I was a huge fan of the necromancer so I'm glad they brought that class back" or that the article seems to paint the class as brand new to the franchise. It's shocking in a funny way. I got this Day One for $15 and did so gladly. The way I look at it, that $15 covers every free update they've made since bringing the game to PS4 (and there was a ton of content and new toys added). I could play this game forever and now have 17 (?) characters, I think. Digital UEE on PS3 had 15 slots, then transferred to PS4 + 2 for Necro. The only thing I can't do anymore is Campaign, it's too slow and liner now. I felt a major letdown. Day one purchase and was so happy to start rushing to 70 and have some coop rift madness with my wife. Sadly, the necromancer update crushes my Pro. The couple of time I tried it just freezes my game after few minutes of play. It's really not playable like this. N-Sane trilogy arrived so I hopped to Crash 1 (plat scored) and now FFXII:TZA is here so I'll have my time for gaming time filled for the next month or 2, perhaps more. But do like to know if others encountered this as well and if this has been patched or they found a solution for this issue?